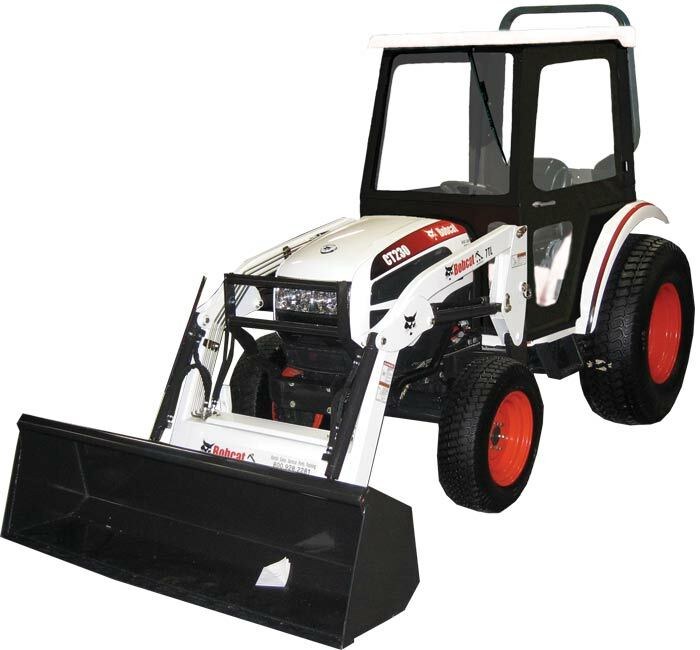 NOW AVAILABLE FOR THE BOBCAT COMPACT TRACTOR LINE!! Yukon Cabs are economical bolt together cabs with modern OEM styling. Cab is not ROPS certified, but sits in front of the existing, un-modified factory ROPS. Included in this cab are features such as a powered front wiper on a safety glass windshield, and rear safety glass panel. This cab is available with a choice of either soft or hard doors. Your cab can be custom configured below with these and other optional accessories.